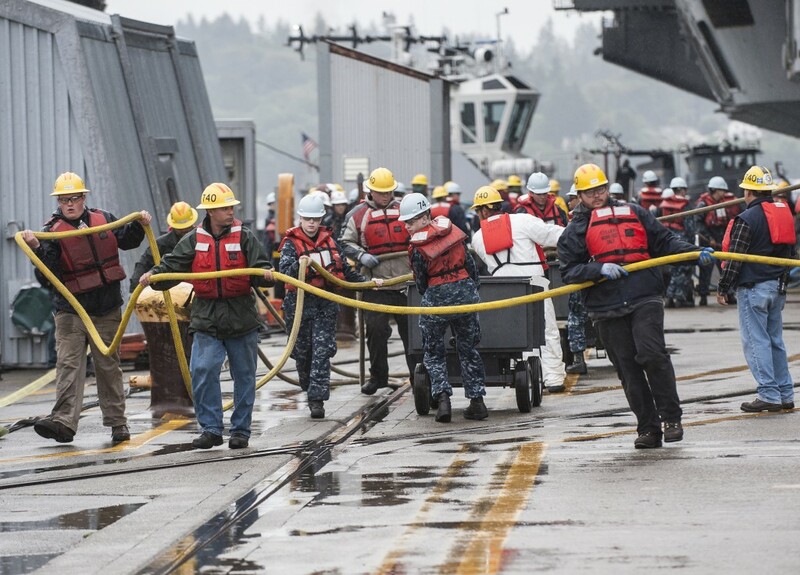 Sailors and Navy civilian employees take part in the docking of the Nimitz-class aircraft carrier USS John C. Stennis (CVN 74) at Puget Sound Naval Shipyard and Intermediate Maintenance Facility. 1. 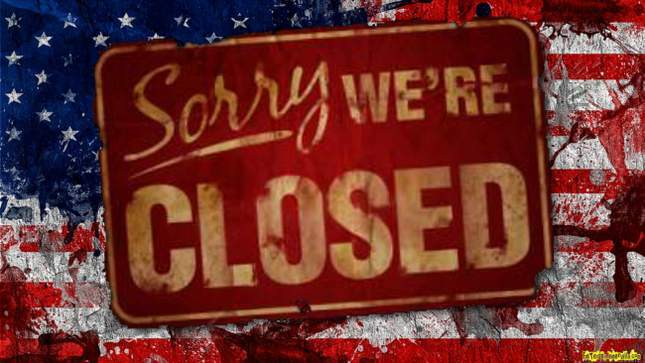 What is a shutdown furlough and how does it differ from an administrative furlough? Unlike an administrative furlough, which occurred during the summer of 2013, a shutdown furlough is unplanned. A shutdown furlough may occur when an agency no longer has the funds necessary to operate and must shut down those activities that are not excepted. Some civilian personnel may be excepted from furlough and may be directed to work. Shutdown furloughs are considered emergency furloughs – conversely, administrative furloughs are planned events. 2. What does a shutdown furlough mean for me – do I still come to work on Oct. 1? If a government shutdown occurs, all Department of the Navy personnel would still report to work on their next scheduled duty day, beginning at their normal hours, where they will conduct an orderly shutdown. 3. Who is excepted and who is not? Based on planning in 2011, about 40% of the Department of the Navy’s workforce is working capital funded and would be excepted from the furlough. 4. Will I be paid for the next pay period? On time? During a lapse of appropriated funds, we cannot pay our excepted employees until after an appropriations bill is approved — even if they have been directed to work. Civilians on emergency/shutdown furloughs would be paid retroactively only if a law is enacted providing authority to retroactively pay them. 5. What happens if I am scheduled to be on annual leave during the furlough? During a shutdown furlough, all scheduled leave (e.g., annual leave, sick leave) is canceled for all excepted and non-excepted employees during a shutdown furlough. Absences during the furlough may not be charged to leave – excepted employees unable to report to duty, due to illness, jury duty, etc., must be placed in a furlough status (i.e., non-duty, non-pay). If you have additional questions, please visit the OCHR website, contact your civilian human resources office, or email questions to DONhrFAQ@navy.mil. Just back from Pensacola–where I met and spoke with many Sailors and civilians at the Naval Education and Training Command (NETC), the Blue Angels and several of the aviation and information dominance training centers. 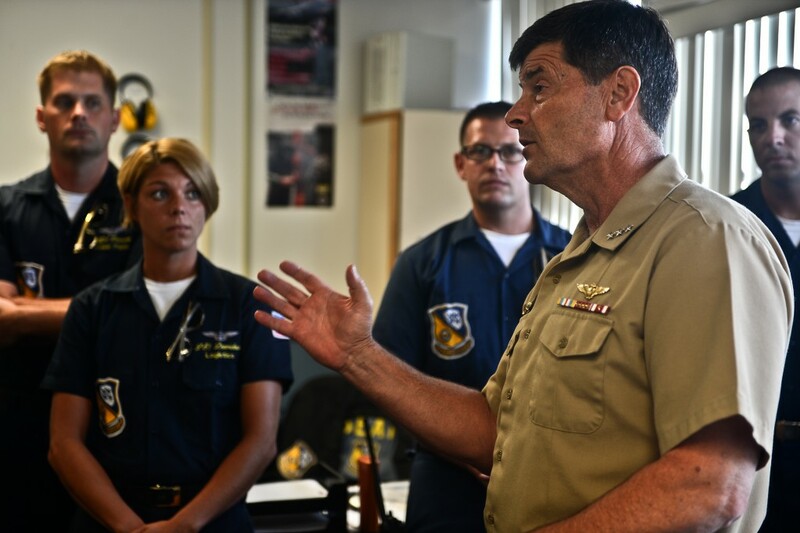 Deputy Chief of Naval Operations (Manpower, Personnel, Training and Education) Vice Adm. William Moran speaks to the U.S. Navy Flight Demonstration Squadron, the Blue Angels, team members during a visit to the squadron. Highlights of the trip (and there are many) included speaking at the Navy and Marine Corps Air Traffic Controller Leadership Continuum, awarding the Meritorious Service Medal to ACCM Tony Corpus recognizing an amazing 30-year career, stopping in to check on our flight demonstration team, and sitting down for lunch with A-school and local CSADD Sailors. The dialogue at every stop was insightful and candid. Of greatest concern was the budget and potential government shutdown. Clearly these are issues right in front of us as Fiscal Year 13 comes to an end and 14 begins. Sailors were looking to me to provide answers from inside the beltway. On the flight back from rainy P-cola to DC, I decided to jot down some of the questions most asked-my guess is that most of you have similar questions. As I shared with Sailors on Tuesday, I don’t have all of the answers, but I will share what we know, and be upfront on what we don’t know yet. Vice Adm. William F. “Bill” Moran, center, chief of naval personnel (CNP), answers a question from Chief (Select) Hull Maintenance Technician Rodney Ellars, from Plains City, Ohio, an instructor at Hull Maintenance Technician “C” School. 1. Is the government going to shut down on Oct. 1? I honestly don’t know–there is still time for Congress to prevent a shut down. It is our hope that Congress will work with the administration to pass a bill; a continuing resolution is about the best we could hope for at this point prior to Oct. 1. 2. If the government does shut down, will Sailors still be required to go to work? Yes. If a government shutdown occurs, all Navy personnel (Sailors and Civilians) would still report to work on their next scheduled duty day, beginning at their normal hours, where they will then receive additional guidance and instructions. 3. If the government shuts down, will I get paid on time? If not, when will I be paid? First off, everyone will receive their pay for Oct. 1. Active-duty Sailors and reserve component Sailors on Federal active duty (activated reservists) on orders will be required to report to work on the 1st and will continue to earn pay. However, they would have to wait to be paid until Congress passes and the President signs a new appropriation or continuing resolution. I’m encouraged by news I’m hearing that some credit unions, like Navy Federal, will cover pay on the 15th as long as Sailor’s have a direct deposit account with them. In any case, uniformed members will receive back pay from the government. If civilians are furloughed, Congress will determine whether furloughed employees will receive pay for the furloughed period. 4. How will a government shutdown affect support services? Morale, Welfare, and Recreation (MWR) and Non-Appropriated Fund (NAF) activities necessary to support excepted activities such as child care activities, some base gyms and messing facilities are required for readiness and will remain open. We would continue to provide emergency services, inpatient care and all support services that are necessary to ensure our beneficiaries continue to receive quality care. Some services will likely be affected-Sailors and families should check with their individual hospital and clinics for specifics. 5. Will any of my training be delayed? Will deployments get cancelled? There is a real chance that boot camp, A-school and some fleet training could be delayed. I don’t expect that there will be an appreciable manning effect on our ships, squadrons, boats or units, but a shutdown could make it more difficult for some units to get scheduled training and replacement personnel. It will take time for us to recover and get back to normal, even if there is a short disruption. I don’t know exactly how things will play out, none of us do, but as I shared with Sailors in Pensacola: as we work through all of this, we will all need to stay focused on mission and stand our watch. 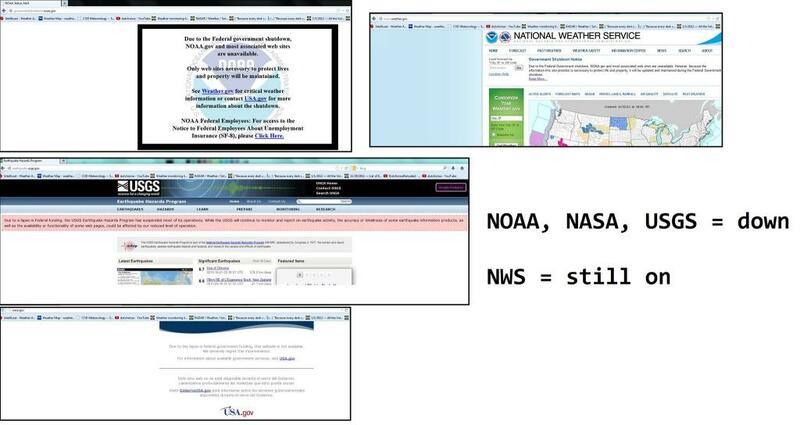 I will continue to share what we know and when we know it to keep you informed. Thanks for your time and attention. I look forward to seeing you in the fleet and reading your comments below and on social media. 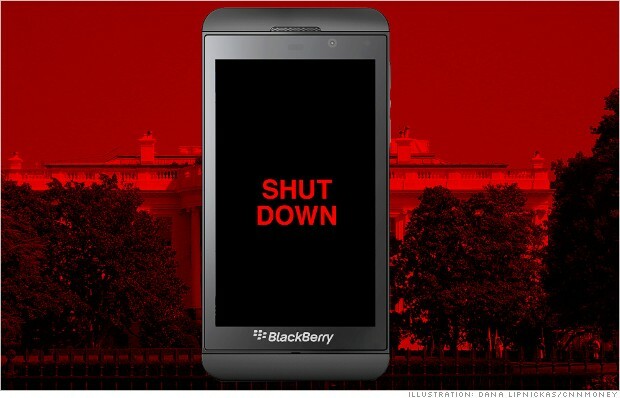 If the government shuts down next week, Blackberries and iPhones may be turned in. Federal workers could soon be asked to turn in their government-issued BlackBerries and iPhones. That's because if the government shuts down next Tuesday, furloughed federal workers could be violating the law if they do something as simple as check their work e-mail. The Antideficiency Act, passed by Congress during Chester Arthur's administration, prevents non-working federal employees from doing any job-related functions during a shutdown if the government cannot pay for it. The White House budget office made clear last week that employees on furlough during a shutdown can't touch their government-issued mobile devices, or even use home computers or laptops to access work email. But in the age of ubiquitous communication, how do you even enforce a no-cell phone ban? The truth is, no one really knows yet. In the last shutdown of 1996, the Palm Pilot was about as advanced as handheld devices got. The Office of Management and Budget has left it up to the various federal agencies to figure out how to carry out its edict. In 2011, when the government came close to a shutdown, the Department of Housing and Urban Development said it would allow employees to keep government-issued BlackBerries (BBRY) and laptops on the condition they didn't use them. But the House of Representatives had planned to order furloughed employees to turn in their BlackBerries, laptops, and even cell phones, and to turn on "out of office" messages. Now, with a shutdown looming just a week a way, the HUD, House, and the IRS have said they're still crafting their contingency plans, including how to handle websites and mobile phone use. Federal worker union representatives say it doesn't matter what the government decides on BlackBerry use. "When a federal employee gets furloughed because of a government shutdown, the last thing they're worried about is whether they can turn on their laptop or Blackberry; they're worried about paying the mortgage and putting food on the table," said William R. Dougan, national president of the National Federation of Federal Employees. Shutdown expert John Cooney said a short shutdown lasting a few days may have little impact and agencies may not require staff to turn phones in. "If it's a long shut down, the agency could collect cell phones from employees," said Cooney who helped craft the modern day shutdown plan for the Reagan White House. Related: Are Social Security payments at risk? One potential problem: The budget office says agencies can't rely on work email to alert employees to go back to work, when a shutdown ends. The agencies will have go back to old-fashioned communication to get furloughed employees to return to the office via unconventional tools like calls to personal phones, television, radio, Facebook and Twitter. Of course, federal employees in critical jobs will continue to work, and also use their smartphones to carry out their "essential functions." They include some senior managers, lawmakers and workers who are needed to protect life and property. They also include the President, also known as the E-mailer-in-chief, and a government employee with a critical job. La Maison Blanche a ordonné aux agences fédérales américaines lundi peu avant minuit (04H00 GMT) de cesser leurs activités, le Congrès ayant échoué à voter un budget avant l’heure limite en raison de positions irréconciliables. « Malheureusement, nous n’avons pas d’indication claire que le Congrès agira à temps pour que le président signe une résolution budgétaire avant la fin de la journée de demain, le 1er octobre 2013″, a annoncé Sylvia M. Burwell, directrice du bureau du budget de la Maison Blanche. « Les agences doivent donc exécuter leurs plans pour une cessation ordonnée de leurs activités en l’absence de budget ». Plus de 800’000 fonctionnaires fédéraux jugés non essentiels, sur un total de plus de deux millions, devaient se retrouver en congés forcés sans soldes dès mardi matin. Les effectifs des administrations se retrouveront réduits au minimum vital, certaines agences se retrouvant avec à peine 5% de leurs effectifs. L’exécutif américain n’a pu que constater l’impasse dans laquelle se trouvait le Congrès lundi soir à l’approche du début de l’exercice budgétaire 2014, qui a commencé mardi à minuit (04H00 GMT), et avant lequel le Congrès devait approuver des crédits pour assurer que l’Etat fédéral puisse fonctionner normalement. Après deux rejets lundi par le Sénat américain de projets de loi de finances élaborés par la Chambre des représentants, les dirigeants républicains avaient annoncé tard lundi qu’ils entendaient voter une nouvelle fois dans la nuit sur un texte, jugé inacceptable par les démocrates, car sabordant la loi de réforme du système de santé de Barack Obama. Depuis 0h01 ce mardi, les États-Unis n’ont pas de budget. Le gouvernement fédéral est paralysé, c’est le «shutdown». Quel impact pour Obama, les Américains, l’économie? • Le «shutdown», qu’est-ce que c’est? Littéralement, «shutdown», en anglais signifie fermeture. Le terme désigne l’arrêt du fonctionnement de nombreuses administrations et services fédéraux aux États-Unis. Cette paralysie du gouvernement américain a officiellement démarré ce mardi 1er octobre, premier jour de l’année budgétaire, à 0H01 à Washington, soit 6H01 à Paris. • Comment les États-Unis en sont-ils arrivés là? Le «shutdown» est prévu par la loi américaine dans le cas où le budget n’est pas voté par le Congrès. C’est ce qui vient de se produire. La Chambre des représentants (la chambre basse du Congrès), où le parti Républicain est majoritaire depuis les élections de novembre 2010, a adopté dimanche un projet de budget qui permettrait au gouvernement de payer ses factures jusqu’au 15 décembre. Ce texte exige le report d’un an de l’entrée en vigueur de la loi sur la santé, l’«Obamacare», réforme emblématique du président démocrate, honnie par les Républicains. Pour la Maison-Blanche, pas question de reporter l’Obamacare. Le Sénat, à majorité démocrate, a rejeté lundi soir le projet de loi de la Chambre. L’année budgétaire, qui démarre le 1er octobre aux États-Unis, a donc commencé sans budget. • Y-a-t-il eu des précédents historiques? La paralysie gouvernementale la plus longue et la plus récente a eu lieu en 1995 et 1996, sous le premier mandat de Bill Clinton, à l’occasion du vote sur le budget 1996. La Chambre à majorité républicaine avait voté un texte limitant les dépenses de santé, qui avait essuyé un veto de Bill Clinton. À l’époque, c’est le financement de Medicare -la couverture santé des plus de 65 ans – qui était à l’origine de la crise budgétaire. Le blocage du 1er octobre avait été évité in extremis grâce à un prolongement temporaire de crédits. Un nouveau rendez-vous fut fixé au 13 novembre à minuit. Sans succès. Le bras de fer s’est soldé par une fermeture des services fédéraux non essentiels pendant six jours, du 14 au 19 novembre 1995, puis à nouveau pendant deux semaines, du 16 décembre 1995 au 6 janvier 1996. Soit 28 jours au total. À la différence du bras de fer actuel, un accord avait été trouvé en 1995, pour le financement du Pentagone, qui fut épargné par le «shutdown». Quelque 700.000 fonctionnaires jugés «non essentiels» avaient été mis au chômage forcé, ou ont vu leurs salaires suspendus pendant plusieurs semaines. Ils ont été payés une fois l’accord sur le budget trouvé en janvier 1996. Le secteur aérien avait été touché par la crise, la distribution de passeports et de visa ayant été fortement perturbée. Les experts de la Maison-Blanche estiment aujourd’hui que cette fermeture des services fédéraux en 1995-1996 a coûté aux États-Unis plus de deux milliards de dollars – prix actuels, soit 0,01% de PIB. Politiquement c’est Bill Clinton qui a gagné le bras de fer, les républicains apparaissant comme des râleurs, obsédés par le contrôle des dépenses. Bill Clinton a été réélu président, fin 1996. • Quelles sont les conséquences pratiques pour les Américains? Barack Obama lui-même sera touché dans son quotidien. Les trois quarts des 1701 fonctionnaires affectés à la Maison-Blanche sont en effet privés de travail, d’après le plan de crise de l’administration présidentielle. Barack Obama disposera de moins de personnel pour lui faire la cuisine, passer l’aspirateur dans le Bureau Ovale mais aussi pour surveiller l’économie ou même le conseiller en matière de sécurité. À Washington DC, la collecte des ordures et le nettoyage de la voirie seront interrompus. Près d’un million de fonctionnaires, essentiellement dans la capitale, peuvent se retrouver, à partir de ce mardi matin, au chômage technique. Et pas question de travailler à la maison: les agents du fisc qui seraient tentés de se connecter chez eux, par conscience professionnelle, seraient repérés par le système informatique et risqueraient leur place pour de bon! La plupart des grandes administrations vont tourner au ralenti. Au Pentagone, 400.000 civils – soit la moitié des effectifs – recevront dès ce mardi un courrier leur signifiant leur mise au chômage technique. Quant aux militaires, ils seront tenus de remplir leur devoir le paiement de leur solde sera différé, a prévenu Barack Obama lundi soir. Quelque 90.000 agents des impôts vont cesser le travail. Au ministère de la Justice, 18.000 des 115.000 fonctionnaires vont devoir cesser le travail. Les procès civils vont être retardés par milliers. Dans le domaine de la santé, l’hôpital de Bethesda, dans la banlieue de Washington, qui dépend des Instituts nationaux de la santé, refusera tout nouveau malade. 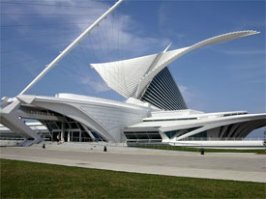 Comme il y a dix-sept ans, les musées fédéraux, les parcs nationaux, les agents du ministère de l’Environnement seront contraints de cesser leur activité. Barack Obama, tout en dramatisant l’enjeu, dans une intervention télévisée lundi soir, a rassuré les deux astronautes américains actuellement en orbite sur la station spatiale internationale: la Nasa fermera dès mardi matin mais pas le centre de contrôle des missions. 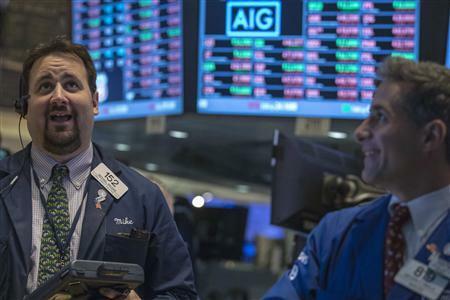 • Quel impact sur les marchés et sur l’économie américaine? Aux États-Unis, où les États sont très indépendants, la paralysie des agences fédérales concentrées à Washington ne devrait pas avoir de graves de répercussions sur la croissance, à condition que la fermeture ne se prolonge pas au delà de quelques jours. «L’impact sur le PIB et sur les marchés restera limité» estime Nathan Sheets de la banque Citi. «En revanche, la perte de crédibilité sera beaucoup plus importante!», ajoute-t-il. En terme de richesses produites, les experts évoquent un recul du PIB de 0,3% à 1,4% au quatrième trimestre, selon la durée de la crise et le nombre de fonctionnaires mis au chômage technique. Le pire scénario se base sur une fermeture d’un mois. • Quel rapport entre le «shutdown» et le «plafond de la dette»? L’impasse budgétaire pourrait compliquer le règlement de la crise de la dette, qui serait beaucoup plus grave pour les marchés. Depuis 1917, le Congrès fixe chaque année une limite d’emprunts que l’exécutif ne doit pas dépasser pour financer ses dépenses, c’est le «plafond de la dette». La dette atteindra son plafond de l’année, fixé à 16.700 milliards de dollars, le 17 octobre 2013. Mi-septembre, Barack Obama a demandé une rallonge au Congrès. Les républicains refusent, sauf si Barack Obama renonçait à sa réforme sur la santé. Si ce plafond n’est pas relevé, par une autorisation du Congrès, le Trésor n’aura plus l’autorisation d’emprunter pour payer ses dépenses courantes, et rembourser ses milliards de dettes arrivant à échéance. Les États-Unis se retrouveraient alors en défaut de paiement, une situation inédite qui plongerait à coup sûr la planète dans une nouvelle crise financière. À la différence du «shutdown» budgétaire, un tel blocage ne s’est jamais produit dans l’histoire américaine. Congrès et Maison-Blanche ont toujours trouvé des compromis assortis d’endettement supplémentaire et de nouvelles économies. As its sister probe Voyager 1 leaves our solar system, take a look at some of the images provided by Voyager 2. 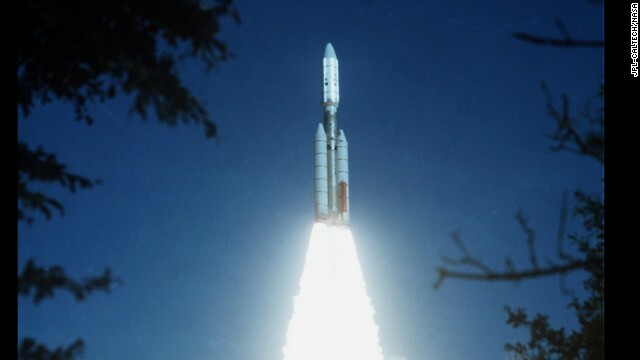 Here, Voyager 2 launches on August 20, 1977. 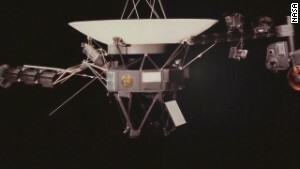 Voyager 2 tweet: "Farewell, humans. Sort it out yourselves"
(CNN) -- Leave it to NASA to give us some perspective -- about 9.5 billion miles worth -- on the unpopular shutdown of the U.S. government. "Due to government shutdown, we will not be posting or responding from this account," the crew responsible for the Voyager 2 space probe wrote late Monday on Twitter. "Farewell, humans. Sort it out yourselves." The tweet may have tapped into many Americans' exasperation with the impasse in Congress that has ground the government to a halt. As of midday Tuesday it had been retweeted more than 7,000 times. NASA, of course, is just one of many federal government agencies affected when the government shut down at midnight Tuesday because of Congress' inability to pass a budget. Many of those agencies took to social media and other online venues to share the news. Twitter was a popular choice for the messages. Among them? If an asteroid starts hurtling toward Earth ... well ... good luck. "In the event of government shutdown, we will not be posting or responding from this account," NASA's Near Earth Object Office tweeted from its @AsteroidWatch account Monday, just hours before the deadline in Congress. "We sincerely hope to resume tweets soon." The office is responsible for tracking and reporting asteroids that threaten the planet, like the 150-foot chunk of space rock that came closer to Earth than the moon in February. The office later noted that observatories, academics and other astronomers continue to monitor the skies. In all, about 18,000 NASA employees, or 97% of its work force, were furloughed on Tuesday. Among those still working will be astronauts aboard the International Space Station. Which may be just as well -- it's not like they could get away from the office even if they wanted to. NASA's Mission Control will also stay open to support astronauts Karen Nyberg and Mike Hopkins. "To protect the life of the crew as well as the assets themselves, we would continue to support planned operations of the ISS [space station] during any funding hiatus," reads a NASA furlough plan submitted last week. "Moreover, NASA will be closely monitoring the impact of an extended shutdown to determine if crew transportation or cargo resupply services are required to mitigate imminent threats to life and property on the ISS or other areas." Other NASA spacecraft, like the Curiosity Rover on Mars and the New Horizons craft hurtling toward Pluto, will be largely left to their own devices (literally) during the shutdown. The funding mess may be enough to have them all jealous of the other Voyager -- Voyager 1 -- which also was launched into space in 1977. Last month, NASA confirmed that the original Voyager left the solar system. Maybe Voyager 2, in its disgust with Congress, will follow suit. WASHINGTON (NNS) -- This story will be updated throughout the shutdown of the federal government. Due to the lapse in appropriation, the U.S. Navy implemented an orderly shutdown of non-excepted activities. During the government shutdown, military members will be paid on time. Excepted civilians (civilians not furloughed) will receive pay - still working through the details on exactly when - will provide updated info when we get it. The Pay Our Military Law authorizes payment of all military pay and allowances-provided funds are available from the Treasury. For Reservists: Annual Training (AT), Active Duty for Training (ADT) or Active Duty for Special Work (ADSW) orders starting on or after October 1, must contact their gaining command or operational support officer (OSO) to determine if the orders are for an excepted activity. If the gaining command or OSO determines that the orders are not in support of an excepted activity, DO NOT travel. Cancel all of travel arrangements in DTS and pull back orders in NROWS. Reserve drill weekends will be deferred until an appropriations bill or legislation is passed to fund the government. "As you know, the government's annual funding could expire at midnight tonight. I have joined President Obama in urging Congress to prevent a lapse in appropriations, and like all of you I would be deeply disappointed if Congress fails to fulfill its most basic responsibilities. We are now in a moment of regrettable and avoidable uncertainty. It would be irresponsible on our part not to prepare for the possibility of a shutdown - especially given that we don't know what Congress will do over the next 24 hours. "To this end, DoD has been moving forward with necessary and prudent preparations. DoD leaders, in coordination with the Office of Management and Budget and the Office of Personnel Management, have been reviewing and updating contingency plans. Whatever happens, we will be prepared. "If a shutdown occurs, it will affect different parts of our department in different ways. While military personnel around the world would continue to serve in a normal duty status, a large number of civilian employees and contractors would likely be temporarily furloughed. Your supervisor will provide more information, but I want you to know that furlough decisions are dictated solely by the law, which only permits us to direct civilians to work if they are required to continue supporting military operations or if they are required to protect DoD personnel and property. The furloughs are in no way a reflection of the importance of your work, the hard effort you put forth every day, or your dedicated service to our department and our nation. "This has been a trying period for DoD personnel across the globe - military, civilian, and contractors alike. Right now, I am in South Korea meeting with our Republic of Korea allies and commemorating the 60th anniversary of our mutual defense treaty. I have spent time with U.S. troops and DoD civilians stationed here who would be impacted by a government shutdown. This is an unnecessary and unwelcome distraction from our mission of defending the nation. "DoD personnel and families have been through a lot recently. Sequestration has meant that most of our civilian employees have already had to endure furloughs this year, causing significant stress and hardship, while service members and military families have had to deal with the needless strain of reduced readiness as well as temporary reductions in services essential to their wellbeing. I know the uncertainty of a possible shutdown only adds to the anxiety that I'm sure many of you and your families are feeling. But I also know that the Department of Defense is a strong and resilient institution. We are going into this challenge together and we will come out of it together. "I want to thank all of you - military and civilian - for your patience and your professionalism, as well as your continued service and dedication to both our department and our country. "Thank you, and God Bless you and your families." President Obama delivers a message to furloughed government workers. In this edition of All Hands Update, the U.S. government partially shuts down, and President Obama signs "Pay Our Military Act." 'Navy Plan of the Day Announcements' is a weekly product pushed to Navy subscribers of www.govdelivery.com. A consistently updated online version exists at http://www.navy.mil/planOfDay.asp. This weekly product includes four sections- Plan of the Day Announcements, Navy Leader Planning Guide Notes, This Week in Naval History, and stories associated with Plan of the Day Announcements. The Oct. 2013 officer promotion message will not include all officers authorized promotion on Oct. 1. Final review of active line/staff O4s as well active/reserve AFQ O3s was not completed in time for inclusion. Also, board results for active/reserve W3s, W4s and W5s are still pending approval. Once both processes are complete, a second message will be released with retroactive promotion and pay dates as appropriate. DTS and AFN broadcast programming for Sailors and families stationed at sea and abroad will be reduced to one television channel, AFN News, and one radio channel, radio News/Talk NLT 1500 EST, Oct. 1. Regular programming will resume when the government shutdown ends and DoD civilians are authorized to return to work. On Oct. 1, stores in the U.S. will be open to sell as much produce and perishables as possible. All stateside stores will be closed starting Oct. 2. Stores outside U.S. will remain open. For additional information, visit www.commissaries.com..
WASHINGTON (NNS) -- The office of the chief of naval personnel (CNP) announced Sept. 27 that the October 2013 monthly officer promotion message will not include all officers who are authorized promotion on Oct. 1, 2013. Final review of the above-mentioned O4s and O3s was not completed in time for inclusion of those officers in the message. Also, the board results for the active W3, W4, and W5 are still in the approval process and will be announced once the process is complete. Once the respective vetting and approval processes are complete, a supplemental message announcing those officers authorized for promotion will be released by CNP with a retroactive promotion and pay date as appropriate. The International Museum of Muslim Cultures in Jackson, Mississippi is temporarily funded by President Obama. Washington, DC — While up to 800,000 federal workers faced life without a paycheck as Day One of the government shutdown kicked in, President Barack Obama held a press conference to announce that he is using his own money to open the federally funded International Museum of Muslim Cultures. The International Museum of Muslim Cultures closed its doors Tuesday as parts of the federal government shut down after Congress failed to reach an agreement on spending. 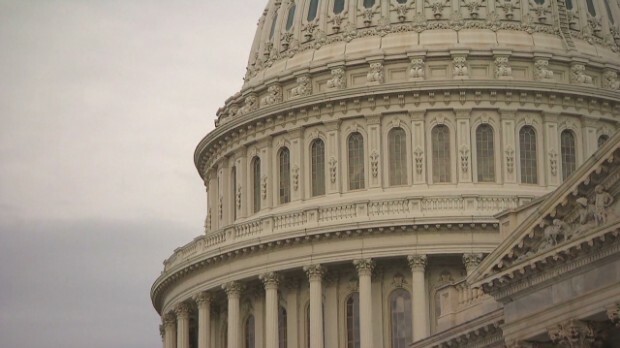 On Monday, the Senate rejected the latest budget proposal from the House of Representatives. The fiscal standoff stems in large part from Republican attempts to block President Obama’s healthcare initiative. The International Museum of Muslim Cultures is located at 201 E Pascagoula Street in Jackson, Mississippi. It is open Tuesday – Friday from 10:00 am – 5:00 pm. The museum is closed Friday from 1:00 pm – 3:00 pm in observance of the Jumah Prayer. Posted: Tue 8 Oct - 15:33 (2013) Post subject: SHUTDOWN : OBAMA ATTEMPS CLOSURE OF GEORGE WASHINGTON'S HOME – THAT IS PRIVATELY OWNED ! SHUTDOWN : OBAMA ATTEMPS CLOSURE OF GEORGE WASHINGTON'S HOME – THAT IS PRIVATELY OWNED ! This government shut down thing is getting very strange very quickly don’t you think? The Mount Vernon home of this nation’s very first president, George Washington, has been a privately owned property for the last 150 years. It is open to the public, operating entirely on private donations. This week, FEDS stormed access areas to the property and CLOSED IT OFF to the public. The National Park Service erected barricades to shut down parking lots surrounding Mount Vernon despite the fact that the tourist destination is privately owned, another example of how the feds are deliberately worsening the government shut down. However, a dispute began when the National Park Service began putting up barricades to block off the facility’s car park, blockading the entrance as well as a spot where tour buses turn around. …Numerous other sites around DC have been unnecessarily closed by the NPS and other federal agencies in what critics are labeling a cynical political stunt which only serves to punish the American people. The US federal government shutdown could have direct repercussions on the transfer of US aid to Israel, US State Department deputy spokeswoman Marie Harf told The Jerusalem Post Wednesday. « The impact of the shutdown could threaten our ability to provide foreign military financing to Israel and other important allies, » Harf said. « Security assistance funding for Israel is typically provided in early- to mid-November, and an extended shutdown has the potential to disrupt this critical military assistance program, » she stated. In light of additional guidance from OSD for the return of many furloughed workers, we are working through the details of what this means for our Navy team. We will continue to keep you updated as we make determinations and notifications. 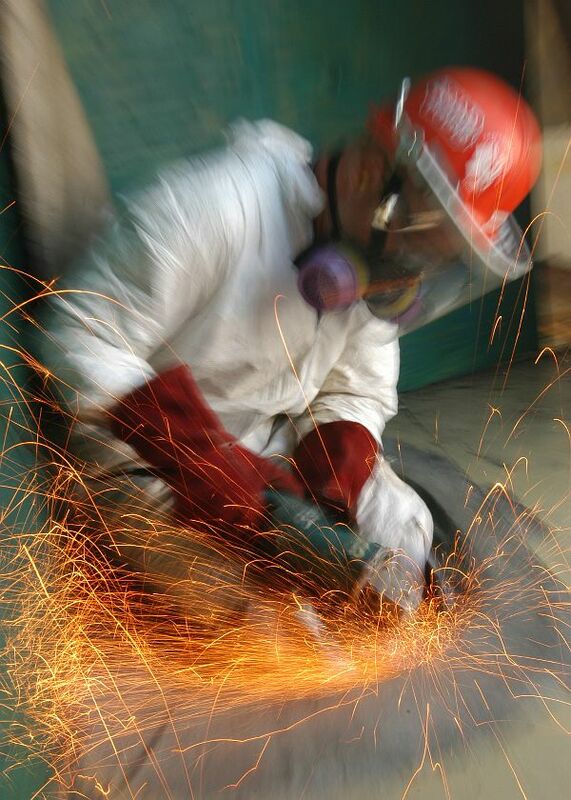 A Puget Sound NavalShipyard worker smoothes down the edges of a hole cut in the flight deck of USS Abraham Lincoln (CVN 72) as she is transformed into a construction site during a Planned Incremental Availability (PIA) at Puget Sound Naval Shipyard. 1. How does leave work during a shutdown? Upon furlough, all scheduled leave (e.g., annual leave, sick leave) is canceled for all excepted and non-excepted employees. Absences during the furlough may not be charged to leave; excepted employees (directed to work) unable to report to duty, due to illness, jury duty, etc., must be placed in a furlough status (i.e. non-duty, non-pay). Unlike “excepted” employees, those who are categorically exempted from the furlough (i.e. NWCF, SIOH, etc.) may be granted annual or sick leave subject to supervisory approval based upon mission requirements. 2. Many of us have already been furloughed and in a LWOP status for six days; how will furlough time off affect an employee’s leave accrual and benefits? If an employee is furloughed (i.e., placed in nonpay status) for part of a biweekly pay period, the employee’s leave accrual will generally not be affected for that pay period. However, the accumulation of nonpay status hours during a leave year can affect the accrual of annual leave and sick leave over a period of time. For example, when a full-time employee with an 80-hour biweekly tour of duty accumulates a total of 80 hours of nonpay status from the beginning of the leave year (either in one pay period, or over the course of several pay periods), the employee will not earn annual and sick leave in the pay period in which that 80-hour accumulation is reached. If the employee again accumulates 80 hours of nonpay status, he or she will again not earn leave in the pay period in which that new 80-hour total is reached. NOTE: Some employees were furloughed for six days and placed in a LWOP status. If they were furloughed or placed in a LWOP status for four days, they would meet the threshold of 80 hours. 3. Can I take leave to go to the doctor if I am excepted from the furlough? Employees excepted from furlough (directed to work) may go to the doctor and they will be placed in a furlough status (i.e. non-pay, non-duty) until they are able to return to duty. Excepted employees unable to report to duty, due to illness, jury duty, etc., must be placed in a furlough status (non-pay, non-duty). 4. Can excepted employees be required to perform work on a holiday that occurs during a shutdown furlough? Yes. Each agency is responsible for determining which excepted activities must be performed on a holiday in order to carry out functions related to such excepted activities. If an excepted employee refuses to report for work on a holiday after being ordered to do so, he or she can be considered absent without leave (AWOL) and will be subject to any consequences that may follow from being AWOL. 5. Am I entitled to unemployment compensation while on furlough? It is possible that furloughed employees may be eligible for unemployment compensation. State unemployment compensation requirements differ. Employees should submit their questions to the appropriate state office. Furloughed employees will receive the SF8, the form needed by federal employees to file for unemployment compensation. 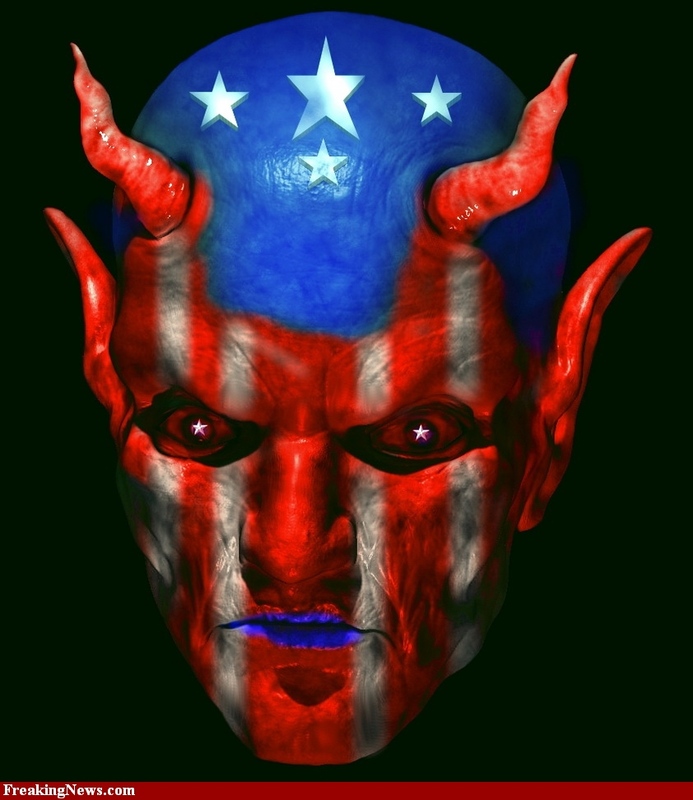 The good time to clean the government from christians and patriots, now considered as terrorists. was "closed" due to the shutdown. Until government funding is restored, the fishing boats are prohibited from taking anglers into 1,100 square-miles of open ocean. Fishing is also prohibited at Biscayne National Park during the shutdown. The Park Service will also have rangers on duty to police the ban... of access to an ocean. The government will probably use more personnel and spend more resources to attempt to close the ocean, than it would in its normal course of business. This is governing by temper-tantrum. It is on par with the government's ham-fisted attempts to close the DC WWII Memorial, an open-air public monument that is normally accessible 24 hours a day. By accessible I mean, you walk up to it. When you have finished reflecting, you then walk away from it. At least that Memorial is an actual structure, with some kind of perimeter that can be fenced off. Florida Bay is the ocean. How, pray tell, do you "close" 1,100 square miles of ocean? Why would one even need to do so? Centuries ago, King Canute famously failed to command the ocean tide to stop. His display was actually a means to educate his subjects on the limits of royal power. 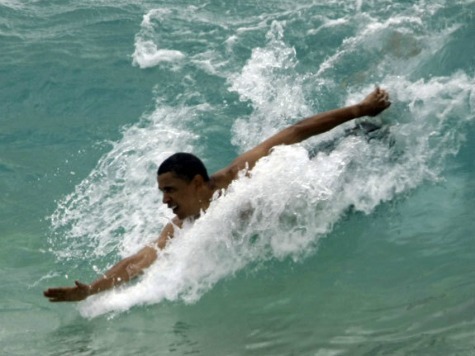 Today, however, our President actually believes he has the power to control the oceans. Do you know what happens when you disobey a direct order when you are a member of the U.S. armed services? You face Article 15 charges, which typically result in loss of rank and pay. Also, if it is a time of war, like is usually the case for U.S. military personnel, since the U.S. has in essence been in a perpetual state of war with someone since its inception, you also face charges of treason, which results in imprisonment. 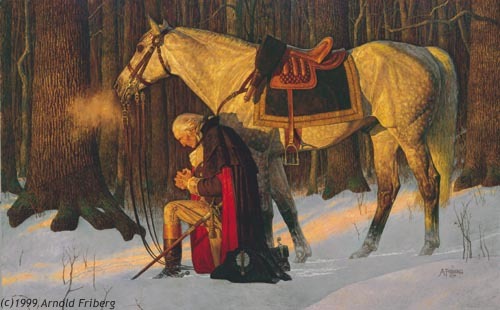 Military chaplains had better get all of this through their heads and stop praying, as the decree has been ordered down from U.S. President Barack Hussein Obama that they are not allowed to pray during the U.S. Government shutdown. So. 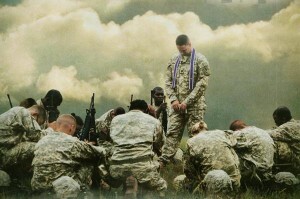 If you are a military chaplain, you’d better pray in your closets, as the good book recommends. 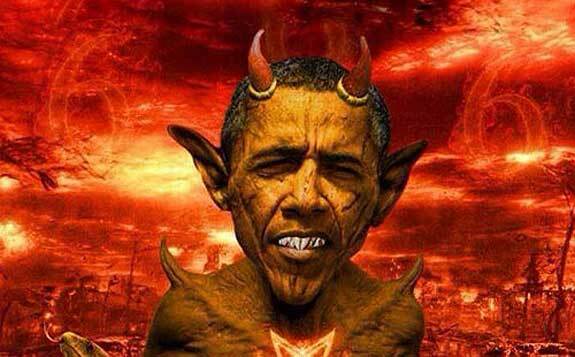 Because if you pray in public, King Hussein Obama may just have you thrown into the dungeon. "We know that those who rely on the Military Health System (MHS) are concerned about how the government shutdown might impact their health care and are taking appropriate actions to assure that our beneficiaries are cared for. TRICARE beneficiaries using providers in the private sector should feel no effects at this time." To read the rest of the updated statement, go to: www.tricare.mil/Welcome/MediaCenter/News/Archives/10_9_13_Shutdown. Sign up for TRICARE e-mail updates at www.tricare.mil/subscriptions. The TRICARE Management Activity administers the worldwide health care plan for 9.6 million eligible beneficiaries of the uniformed services, retirees and their families. 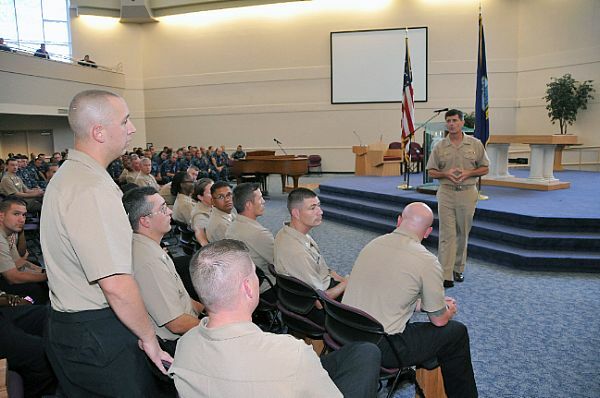 Vice Adm. Bill Moran, Chief of Naval Personnel, speaks with Sailors and civilians at an all hands call at the Arlington Naval Annex. Shipmates, as we head into week two of the shutdown, your feedback makes it clear that there remains much anxiety across the fleet. Yesterday, we were given the authority to disburse pay and allowances, clearing the way to begin paying bonuses and many other payments. Defense Finance and Accounting Service (equivalent to our central bank in DoD) should begin to release funds today, but that won’t mean that it will all show up for everyone instantly. There remains some additional approval authority to clear before you will have all of the pay, training tools and support you need to fully carry out your mission. We are working hard to get all of these details figured out. Coast guardsmen assigned to Advanced Interdiction Team 4 fast rope from an MH-60S Sea Hawk helicopter assigned to the Desert Hawks of Helicopter Sea Combat Squadron (HSC) 26 onto the flight deck of the guided-missile cruiser USS Monterey (CG 61) during a training exercise. Thank you for your patience. I know this has not been easy. I can assure you that your shipmates in DC and up your chain of command and our Navy are dedicated to getting back to “ops normal” as soon as possible. As the actions of this past weekend in Somalia and Libya remind us, world events do not pause or wait for us to figure out pay or travel policy. We have shipmates forward carrying out dangerous missions and standing watch at sea around the globe. Our country needs a mission focused Navy now more than ever. An F/A-18F Super Hornet assigned to the Black Knights of Strike Fighter Squadron (VFA) 154 prepares to launch off the flight deck aboard the aircraft carrier USS Nimitz (CVN 68) with the guided-missile destroyer USS Stockdale (DDG 106) in the background. The Nimitz Carrier Strike Group is deployed to the U.S. 5th Fleet area of responsibility conducting maritime security operations and theater security cooperation efforts. Editor’s note: We will continue to update information about the government shutdown as it becomes available. For information about our civilian team, visit Civilian Team: What you need to know about pay our military act. 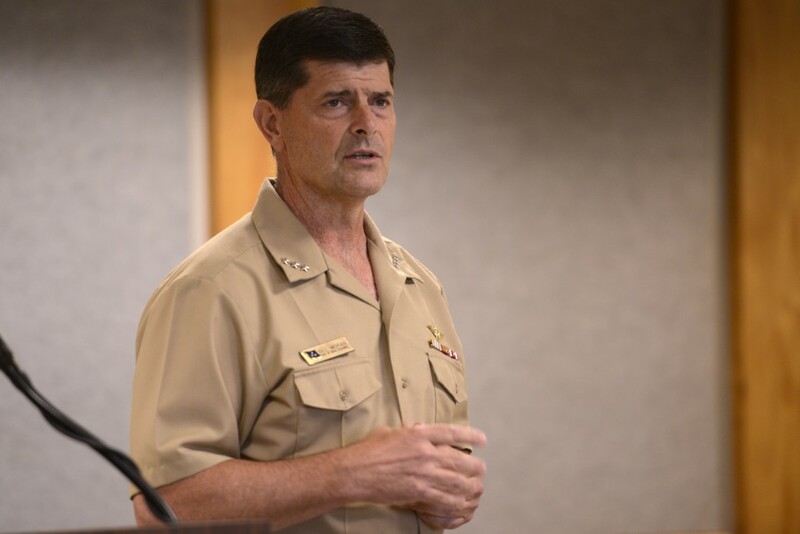 The Chief of Naval Operations and Master Chief Petty Officer of the Navy held a Virtual All Hands Call, Tues., Oct. 8 to answer questions from the fleet about the government shutdown. TUSAYAN, Ariz. (AP) — Nearly two dozen people have been issued citations for entering Grand Canyon National Park after a partial government shutdown forced its closure. 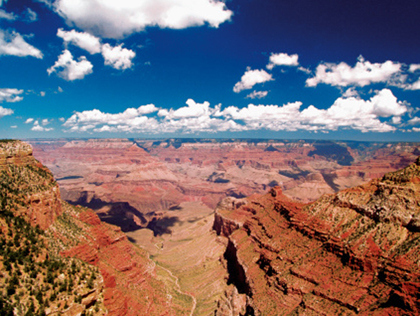 Grand Canyon Chief Ranger Bill Wright says some people have been http://lasvegas.cbslocal.com/2013/10/08/grand-canyon-cites-people-for-enter… at the South Rim, on trails, attempting rim-to-rim hikes or trying to sneak in through dirt roads. All of the citations will be handled by the U.S. Attorney’s Office. Wright says each of the 21 citations issued as of Monday has a mandatory order to appear in federal court. A state highway that runs through the national park was closed after Grand Canyon officials found tourists removing barricades at overlooks along the road. Wright says law enforcement will be patrolling the park around the clock. Most other park employees have been furloughed. Rachel Maddow reports the breaking news that the Veterans Benefits Administration has announced that beginning Tuesday morning it will furlough 7,000 employees and close all regional offices and facilities. Posted: Thu 10 Oct - 09:42 (2013) Post subject: DISGRACEFUL : FAMILY CAN'T BE FLOWN TO DOVER TO WHEN REMAINS OF FALLEN LOVED ONES COME HOME? DISGRACEFUL : FAMILY CAN'T BE FLOWN TO DOVER TO WHEN REMAINS OF FALLEN LOVED ONES COME HOME? It remains unclear whether the VA will be sending out compensation checks on Nov. 1 to about 3.8 million veterans who rely on them, department spokeswoman Victoria Dillon says. While the VA is continuing to process compensation cases this month, funding for this will run out by the end of October if the shutdown continues, she says. The VA pays out about $5 billion the first of each month to veterans in compensation and pension payments, Dillon says. Meanwhile, the families of four soldiers and a Marine killed in Afghanistan since the shutdown last week are not receiving a $100,000 death gratuity or any unpaid income due their loved ones, or being reimbursement for burial expenses, the Pentagon says. "Unfortunately, as a result of the shutdown, we do not have the legal authority to make death gratuity payments at this time," says Navy Lt. Com. Nate Christensen, a Pentagon spokesman. • Reimbursing families for travel to Dover Air Force Base in Delaware for meeting the remains of their loved one brought back from war. • The cost of memorial services, caskets and other burial expenses. • Paying the travel expenses of families who wish to be at the bedside of a direly wounded servicemember brought from combat to an Army hospital in Germany. "We are keeping a close eye on those survivors," he says. "We're ready to pay out as soon as the money comes through. We care a great deal about them." News of this cut in death reimbursements by the Pentagon was first reported by NBC. Payments that are continuing during the shutdown, according to Christensen, include the processing of a $400,000 death insurance policy and a monthly survivor benefit stipend amounting to a percentage of the slain servicemember's base pay. The VA said its success in reducing a backlog of compensation claims is now in jeopardy because it can no longer require employees to work overtime to cut through the delayed cases. The department began in May placing workers on a mandatory overtime schedule of at least 20 hours per month and succeeded in reducing the backlog by 30%.